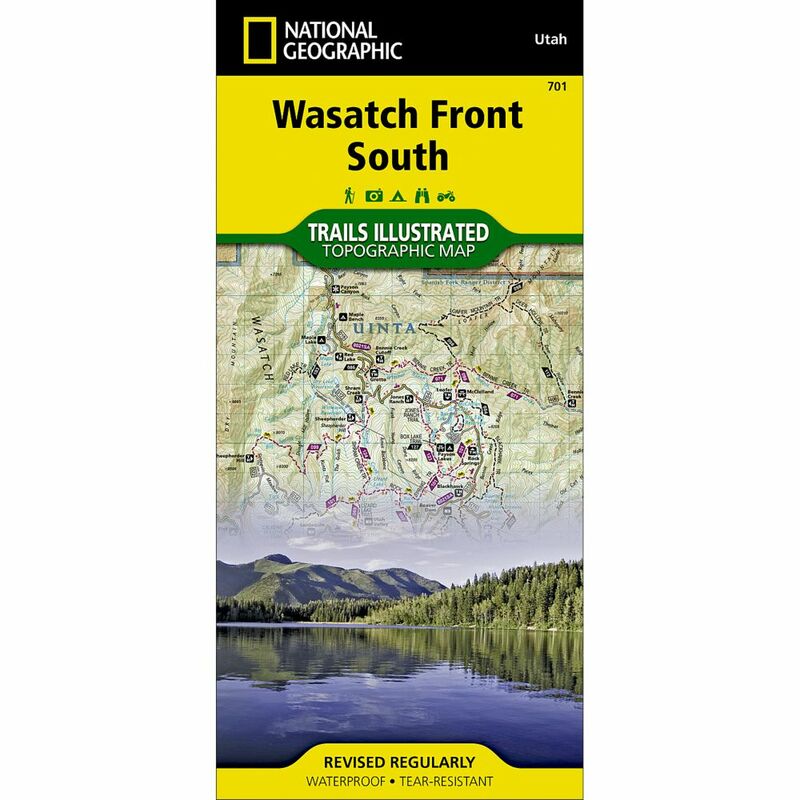 This National Geographic -Trails Illustrated™ topographic map is the most comprehensive and complete recreational map for Utah's Uintah National Forest area. The map shows all trails, campsites, and recreational features, plus valuable wilderness and Leave No Trace guidelines. Coverage includes Uinta National Forest, Mt. Nebo, Lone Peak and Mt. Timpanogos Wildernesses; Granite, American Fork, Orem; Little Cottonwood Canyon, Santaquin, Devils Kitchen; Deer Creek and Silver Lake Flat reservoirs and Little Provo River. Measures 4" x 9" folded and 28" x 32" fully opened. Scale = 1:48,000.